WRC 8 is scheduled to release this September. A trailer released today for WRC 8, the latest entry in the World Rally Championship series of racing games. Scheduled to release in September of 2019, WRC 8 will be available across a wide variety of platforms including Nintendo Switch, PC, Xbox One, and PlayStation 4. After fans were saddened by the lack of WRC content in 2018, the news that WRC 8 is confirmed and coming out during the second half of 2019 is certainly a welcome surprise. WRC 8 is scheduled to release in September of 2019 for Nintendo Switch, PC, Xbox One, and PlayStation 4. Addressing what players can expect in WRC 8, developer Kylotonn noted the intent to “go above and beyond WRC 7” by incorporating “better graphics, more technical routes, smoother pace notes, and a more comprehensive career mode.” According to Kylotonn, there will be over 50 teams in WRC 8, as well as 100 different tracks set in 14 different countries. To add an additional layer of complexity, WRC 8 will feature dynamic weather conditions including rain, fog, and snow. To meet these challenges, players can adjust and tune things on their car as such as handling, tire selection optimization, and grip. While a confirmed roster of cars has yet to be posted, Kylotonn teased that historic model cars will be added in WRC 8. Other features players can look forward to in WRC 8 are weekly challenges and an esports mode. 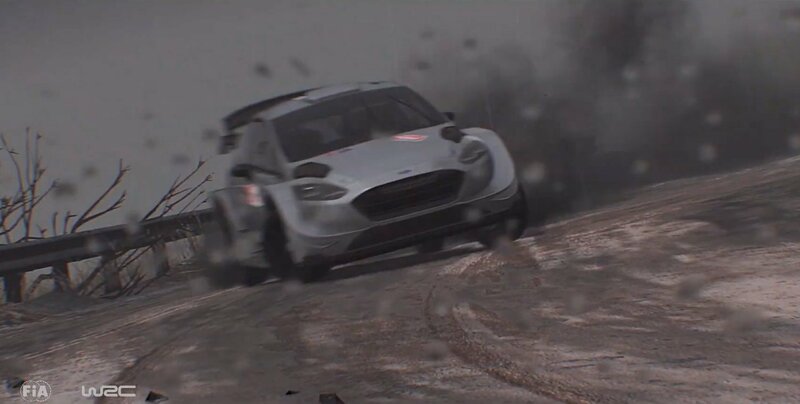 After watching the trailer and reading about the game, what aspect of WRC 8 are you most excited about? Are there any other drivers or cars you’re hoping make the roster? Let us know down in the comments below! WRC 8 is scheduled to release in September of 2019 for Nintendo Switch, PC, Xbox One, and PlayStation 4.